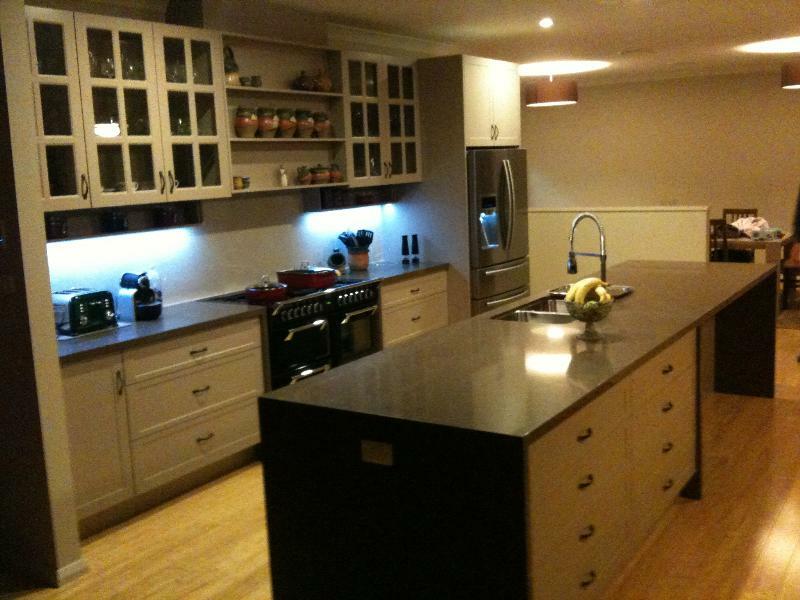 We supply ready to assemble kitchen componentry to the home handyman and trade with the best possible quality and price. Standfast Cabinets is a family owned Australian company. Our aim is to supply ready to assemble kitchen componentry to the home handyman and trade with the best possible quality and price. Our Cabinets are made in house from Australian made board “E0″ (Very low emission) where available. Our carcase cabinets are made from highly moisture resistant particle board, white melamine faced and edged with 1mm PVC edge strip. We use only quality cabinet hardware and have a soft close option available. We have a wide range of door and panel finishes from Polytec and other popular suppliers. 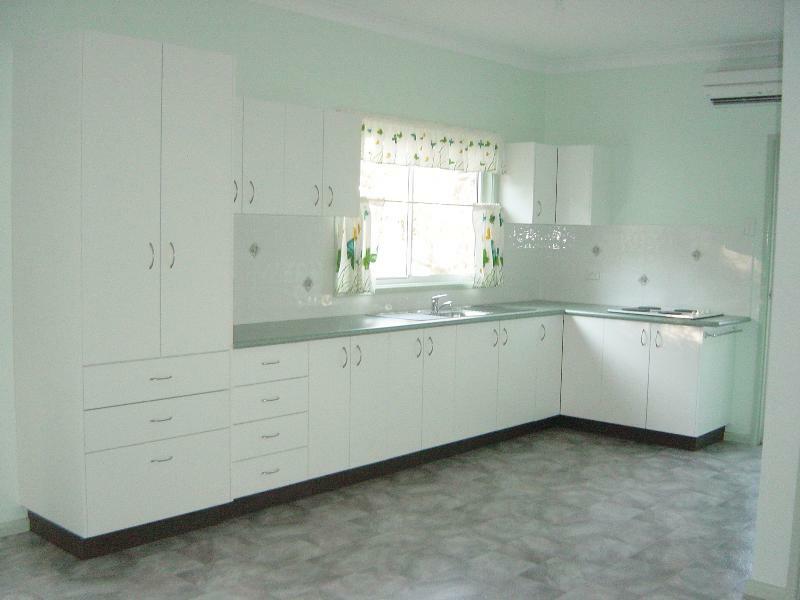 Our benchtops are made to order in a wide range of laminates. We have kitchen and sample displays at our Tuggerah office. As kitchen layouts and sizes vary, we don’t have pricing for the gallery displays. However, we make kits from under $2000 to whatever your budget can accommodate. For further information and pricing, contact us.